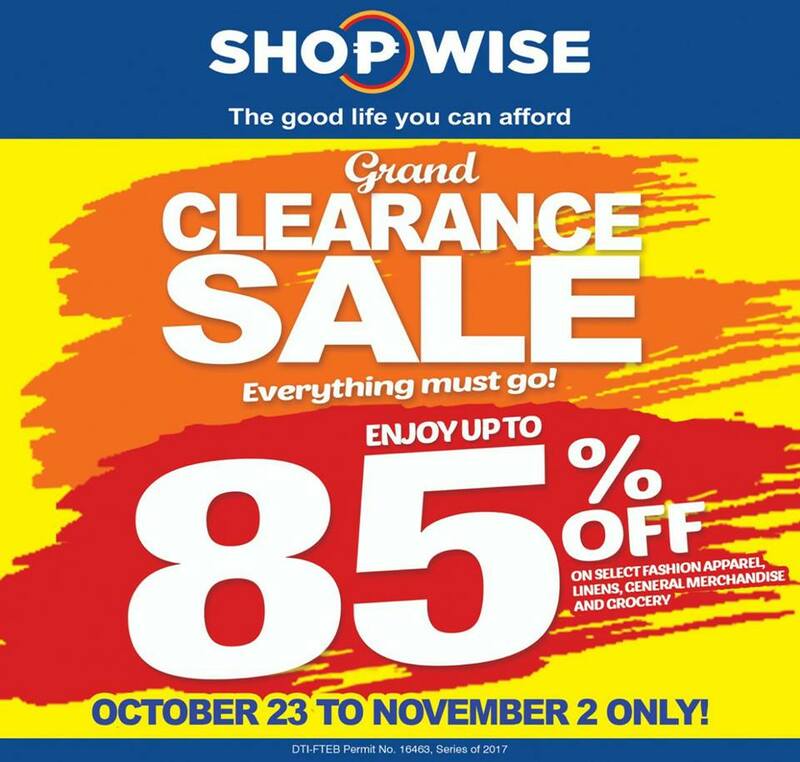 Shopwise’s Best-Ever Grand Clearance Sale is here! 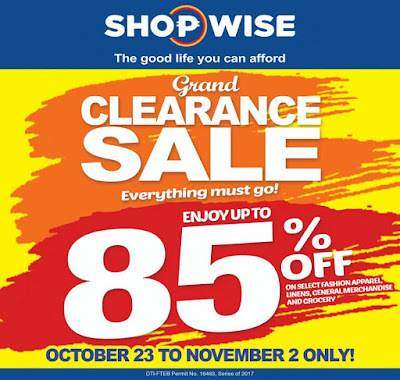 Enjoy up to 85% off on select items from fashion apparels, linens, general merchandise, home essentials, to groceries! Grab this craziest low price sale happening NOW in ALL Shopwise branches until Nov. 2, 2017 only. Hurry, crazy prices start at P49!